There are currently no SharePoint Designer 2010 classes scheduled. 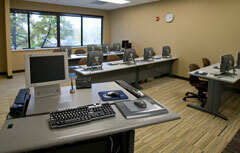 You may be interested in one of our other SharePoint classes. You may also call us at (314) 984-9000. Our computer training center is located in the West County area of St. Louis, near the intersection of Interstate 270 and Manchester Road.